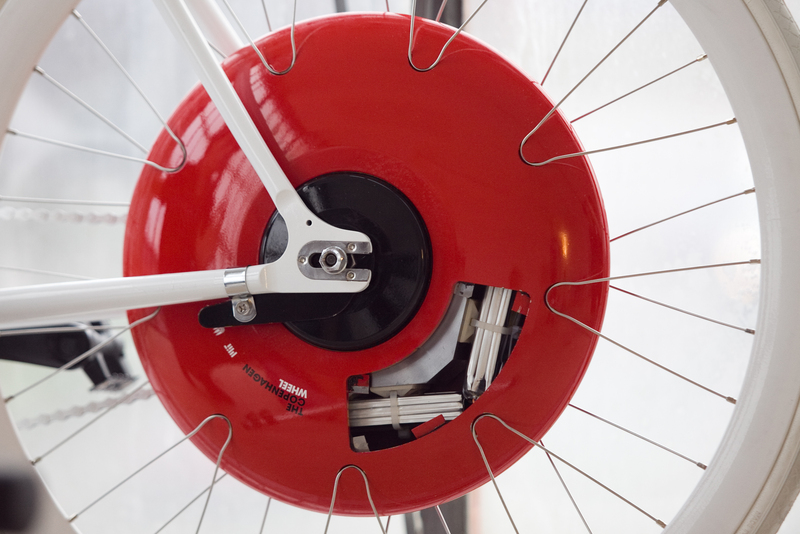 In the span of a week, an electric motor for a bike that resembles the Copenhagen Wheel AND the Copenhagen Wheel funded. FlyKly got their money from the crowd and the CW from investors. A few years ago, I posted on the CW for the industrial design, the concept, and talked about it in presentations. Didn’t think it’d ever make it to market or if so, as a complete bike. Cause if you bolt 9 – 12 lbs of anything on your bike, it’s gonna effect handling; especially, if it’s a “fixie” with a short wheelbase and made to corner on a track without an extra 9 lbs of horsepower hanging off it. Then you’re a slave to the recharge cycle, just like your lights. Better make sure you charge it in before your big meeting at work and the ride home. Felt bad for the eBike cyclists who was pedaling without power on the path. Sure seemed upset his battery died and tired. When you have a motor on your bike, what’s that make you? A motorist.